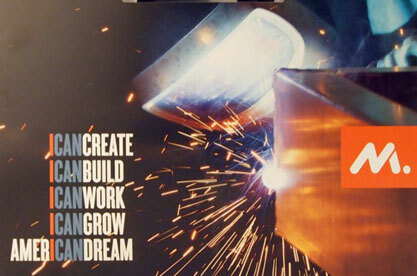 The National Association of Manufacturers (NAM) is a trade organization that represents the US industrial sector. NAM seeks to be the voice for the industry and, on behalf of their members, advocates for various policy items in Washington. They are constantly looking for inventive ways to distribute video content and communicate to these stakeholders about the manufacturing sector’s evolving agenda. 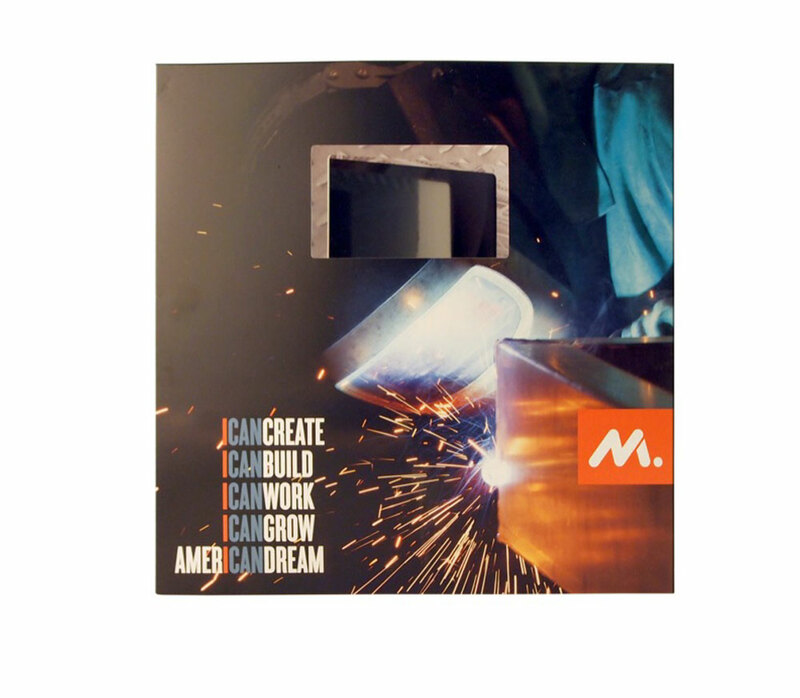 Just as in the manufacturing world, NAM wanted to utilize technology as a way to transmit their marketing messaging. NAM looked to Americhip to bring the innovation factor by embedding VIP into an important education tool to be left with politicians during an annual manufacturing conference. 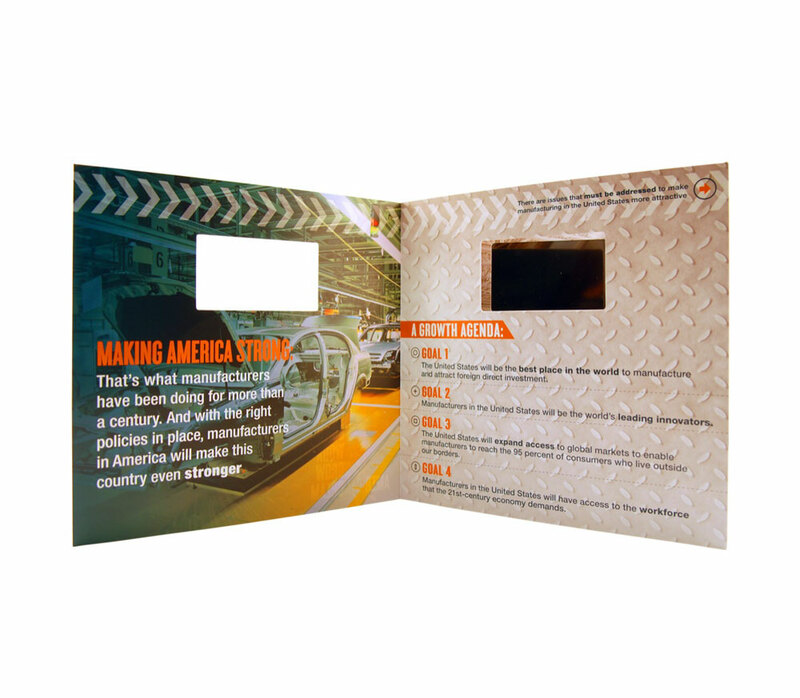 The VIP® Book allowed NAM to convey the sector's agenda on a variety of points in hopes of persuading and informing its audience. The piece included 5 Chapter Buttons, each completing the phrase "Manufacturers will...COMPETE, CREATE, BUILD, WORK, and GROW. 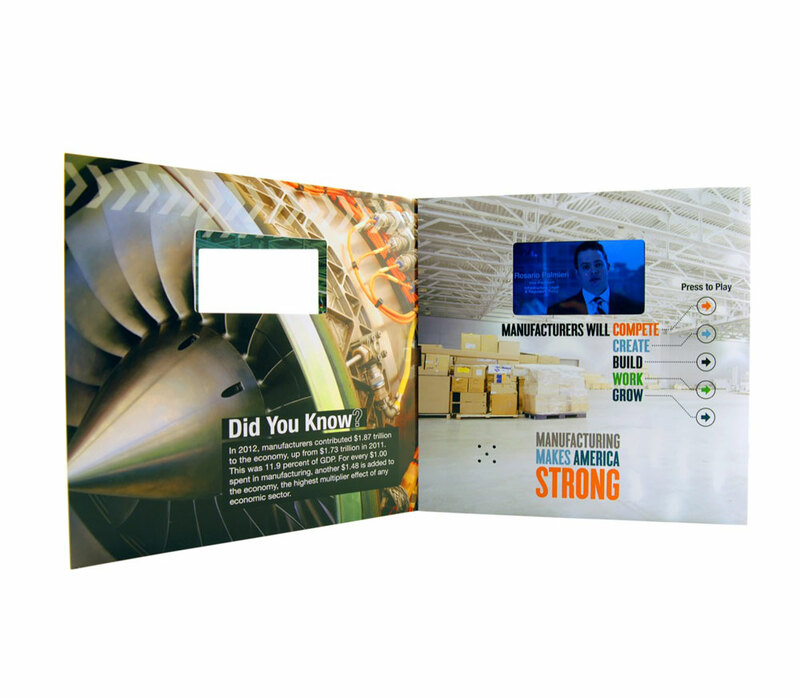 The Video Book allowed NAM to educate their audience with a wide range of information in a sleek, succinct way. NAM has reordered twice and continues to look to Americhip for cutting-edge message vehicles.